Since tens of thousands of people will visit Charlotte the last week in February/first week in March for this year's CIAA Tournament, the opportunity to win an all-expense paid trip to the festivities should be desired by many. The CIAA has announced that Lowe's, one of its major sponsors, is hosting live radio broadcasts at select store locations where you can register for the chance to win the top prize. Free travel and hotel accommodations could make this your best CIAA experience ever. At each broadcast, you’ll also be able to win giveaway items such as CDs, T-shirts, and tickets. Below is the list of Lowe's locations and dates where the broadcasts are scheduled to be held. It appears they chose store locations in states where CIAA schools are located, which makes sense for the fan base. It's interesting that a Charlotte location is listed for each of the dates, though. For more details on official CIAA events and contests, visit www.ciaatournament.org. 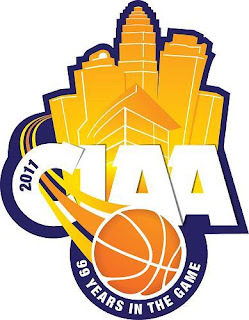 And of course, don't forget about the list of events and parties taking place while the CIAA Tournament is in town, along with profiles and team coverage I'm compiling at www.charlottemagazine.com/CIAA.